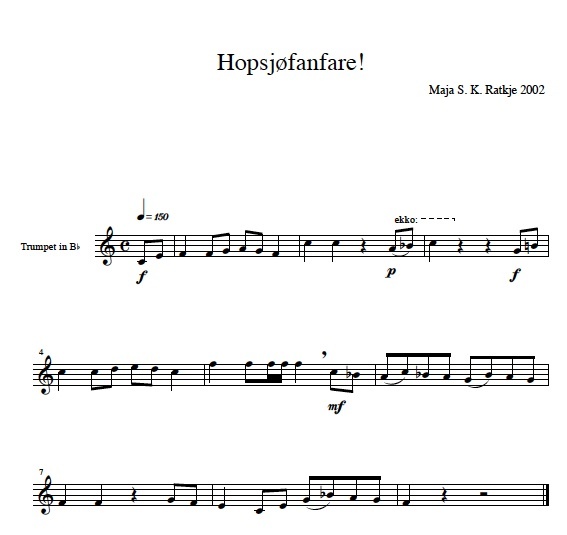 A fanfare commissioned for the Hopsjø festival on the island Hitra, Norway. This entry was posted in Chamber music and tagged trumpet. Bookmark the permalink.